EFT Universe’s Live EFT Tapping Workshops! Emotional Freedom Techniques (EFT) – also called “tapping” – is a simple process, proven in over 100 clinical trials. EFT involves using your fingertips to stimulate 12 acupressure points while keeping your mind focused on a negative emotion. The tapping stimulates the body’s meridians, increasing energy flow to heal emotional blocks – and teaching the body to respond with calm, rather than stress, when faced with a negative experience. But knowing how to do tapping correctly – selecting the right language or the most effective EFT technique for a particular problem – can be complex. The best way to learn what to do, when to do it, and how do it is to learn from professionals who have achieved certification in evidence-based, Clinical EFT. For most people, trying to learn a new skill on your own is challenging and produces less than optimal results. You often don’t know what you don’t know. When you run into questions or challenging situations, you have to muddle through on your own (i.e., attend the “School of Hard Knocks”). And if you do something wrong … you frequently don’t know it until an even bigger problem appears. If you’re a professional who wants to use EFT tapping to help others heal, achieving mastery as quickly as possible is vital. Anything less can produce suboptimal results for your clients. 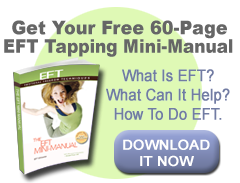 If you're a coach, teacher, or parent – or looking to use EFT yourself – expert instruction makes sure you get the maximum benefit from this powerful healing method. During EFT Universe’s live EFT workshops, you’ll learn tapping from expert Trainers who have been certified in the process. Send Me Information about EFT Workshops Near Me! EFT Universe offers the largest EFT training and certification program in the world, delivering more than 50 workshops and training more than 1,000 practitioners each year. Build your skills systematically. We offer several levels of training. Introductory workshops focus on experiencing EFT and discovering how powerful it can be for your personal growth. Professional workshops train you to offer Clinical EFT to others. You can graduate after certification as a master who can deftly apply EFT to help clients efficiently heal emotional trauma. Guarantee a standardized experience. No matter where you take an EFT Universe live workshop, you’re guaranteed to receive the same curriculum, learning the same material and skills, using the same processes and exercises. Accelerate your learning. We’ve carefully designed our EFT workshops to ensure you learn tapping in as little time as possible. Using techniques proven to work for adult learners, we focus on evidence-based practices. Ensure that you understand the principles. Because you’re in a room with other dedicated students, being lead through a carefully designed curriculum, you’re guaranteed the opportunity to unlock the full power of EFT. You learn the essentials under expert guidance and you don’t need to figure it out on your own. Give you hands-on practice under careful supervision. You’ll learn what pitfalls to avoid … how to deal with challenging situations … what mistakes are most often made – and how to fix them. Offer Continuing Medical Educational (CME/CE) credit. EFT Universe is the only organization whose professional trainings have been accredited for Continuing Medical Education (CME/CE) credit for all the major healing professions, including doctors (American Medical Association), nurses (American Nurses Credentialing Commission), psychologists (American Psychological Association) and social workers (Association of Social Work Boards). That's because our workshops are grounded in solid science. Learn from leaders in the field. All members of our faculty are professional EFT Trainers, who are also experienced Expert EFT Practitioners. To be selected as EFT Universe trainers, faculty members undergo a lengthly and thorough training program. They must demonstrate that they’ve mastered EFT, as well as skillfully incorporating the best teaching practices. When you enroll for a workshop, you get the benefit of all this experience and training! Who Should Attend EFT Universe Introductory Experiential Workshops? Who Should Attend EFT Universe Professional Workshops? I have a completely new appreciation of EFT after taking the workshop. It brought me to a whole new level of my learning process. I am going home with some amazing tools to use with myself and my psychotherapy clients. An incredible experience. Thank you! The workshops were taught so well that, even though they were brief, I now feel I have enough ability to be able to introduce EFT into the clinical setting with confidence. I've become certified in many other modalities, such as the Sedona Method, EMDR, and Gestalt, and I can truthfully say that the EFT Universe workshops represented the best of the best in terms of their content, structure, and presentation. 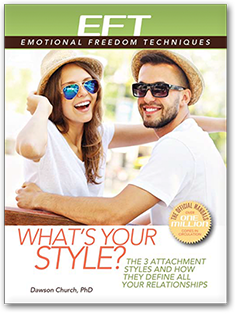 These well-designed trainings with expert EFT instructors are as good as it gets! Can’t find a workshop that fits your schedule? Need to train a group of 20 or more people? Schedule the event when it works best for your team. Eliminate travel and lodging expenses (plus avoid the hassle of traveling). Save money – our group rates save an average of 20% vs. sending your team to public workshops. We strive to make learning EFT as affordable and convenient as possible. That’s why EFT Universe EFT Workshops are offered all over the world. All faculty members are certified EFT Trainers, who are also experienced Expert EFT Practitioners. Most EFT Workshops are held at hotels close to airports. They often offer discounted group rates for accommodations. Learning EFT tapping gives you a powerful tool to help you, loved ones and clients heal emotional trauma in a fraction of the time of traditional therapy. As their emotions heal … their body, minds and spirits will heal, as well. Discover how to use and perform evidence-based, Clinical EFT the right way. Find your EFT Universe live EFT workshop now. Being new to EFT, I found the workshop informative and definitely valuable to my personal development. I came with what I thought were very complicated questions. I found they were all answered. I look forward to continuing my journey with EFT through these excellent trainings. EFT has opened many doors, and allowed me to do things I had not done in years. 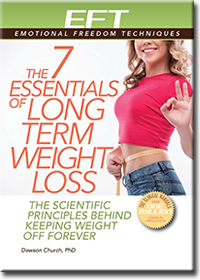 Thank you EFTUniverse for making this fantastic resource available to so many people through your trainings. The training was excellent, and I came away with a hands-on feel for the basic concepts like aspects, the generalization effect, finding core beliefs, and the importance of finding specific events to tap on.